Things aren’t looking up for the Cavaliers after another blowout loss to the Warriors last night, but Kyrie Irving can at least take solace in knowing that he has a spot on Team USA thanks to his MVP honors during the last FIBA tournament. Nike Basketball is already prepping the Kyrie 2 for patriotic duties with the introduction of the Nike Kyrie 2 “4th of July” – a pair that could double as Kyrie’s on-feet selection in Rio later this summer. After a preview of the Kobe 11s earlier this morning, a similar color blocking can be found here – a simple white mesh base is accented by Deep Royal Blue on the mid-foot strap while a University Red lining matches the midsole Swoosh for an understated look. The pair is slated to arrive at retail on July 2nd for $120 USD. 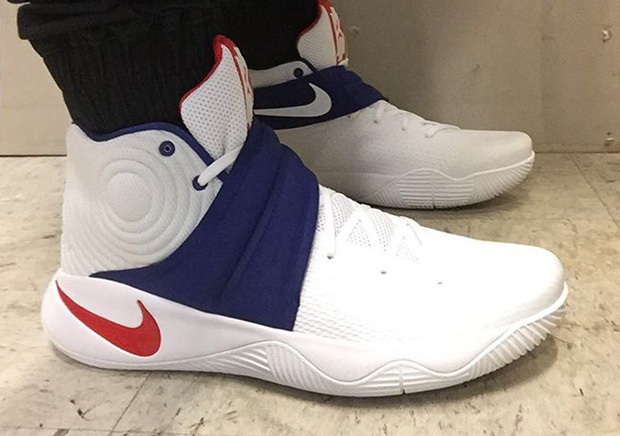 What do you think of the Kyrie 2 USA? Check out an on-foot look below and stay tuned for more release dates right here on Sneaker News. 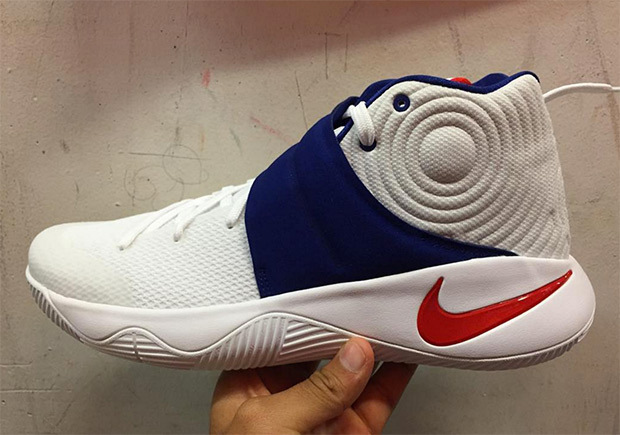 Update: The Nike Kyrie 2 “USA” releases on July 18th, 2016 for $120.